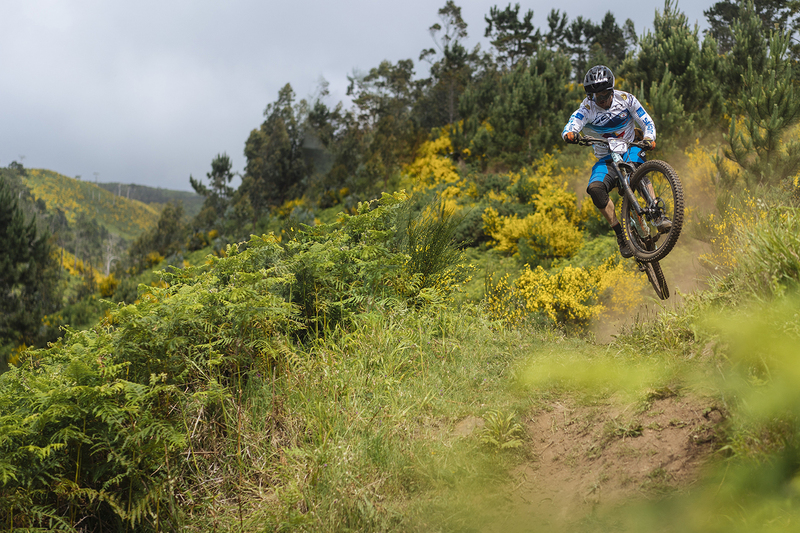 Emanuel Pombo is surely one of my most talented Portuguese mountain bikers. 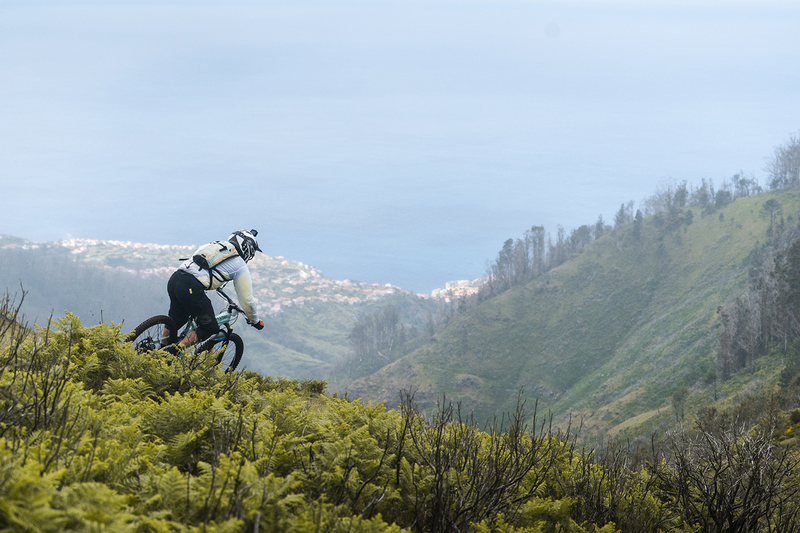 Being born and raised in Madeira, on the far west side of the island - Ponta do Pargo - he started racing downhill at a very young age claiming a bunch of National titles and stepping into top-30 results in the Enduro World Series. Although he's slowly moving to enduro this was actually his first 'trans-type' event. Getting to the top of the podium was the perfect ending to his grueling battle to survive the week against some World Class competition. 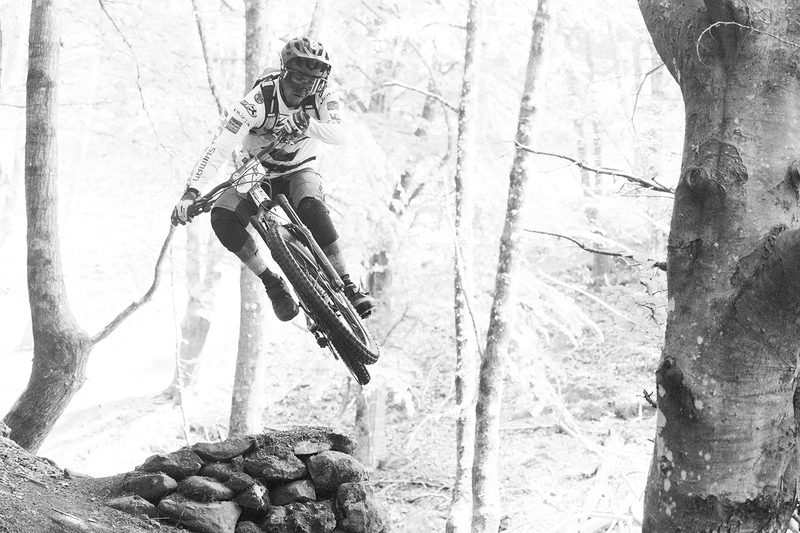 You’ve been racing downhill for more than 15 years now but this was your first Trans race. How was the experience? It was for sure one of the best things Ive done with my bike, a lifetime experience! I've been a part of some amazing races along my career but this one is different. Less pressure means I enjoyed more riding my bike along the week. How does it feel to race blind in your own island? It was certainly a challenge! It was a different experience! Sometimes I didn't feel I was racing, it looked more like a training day but I had a couple of wild moments! When you race blind your approach to obstacles changes constantly! You need to be able to "read" the trail really fast and in advance... but sometimes it's too late and I ended up off-track! What was the biggest challenge you faced during the race? Biggest challenge for me was day three: the adventure day - I think it was the same for everyone! It was a long day and I struggled. There were some big names on our first edition and it we had a race till last corner. What was your strategy along the week to make to the top of the podium on last day? Yes, for sure. As soon I saw the racebook on arrival day, my strategy was lined up: going easy on first day and check results, push a bit harder on second and control on third day to save energy for last two days! The last two days I was on full attack mode! To be honest, after day three I thought it would be hard to win but I kept on going and never lost faith till the end. You never know what will happen until you see the results. I was so happy. It was a dream come true! Any tips and tricks for those that want to join us in the future? Train hard so that you can enjoy it more! Try to prepare everything the day before going to sleep so that you can relax a bit more in the morning. I was always the last day leaving the tents, haha! Eat and sleep good. Book massages everyday to help you recover for next day - this is a must! Finally, enjoy every moment of the experience and have fun - this is definitely the key to fall in love with Madeira and Trans Madeira. Thanks Emanuel Pombo for your time! Hope you can join us anytime soon!